Working-class citizens can count their biggest problems on the fingers of one hand. Two fingers is all it takes to “enumerate” the main deterrents faced by those who wake up and go to work every morning: lack of engagement and lack of well-being. Healthways in collaboration with Gallup uncovered that employees who are engaged and have high well-being are 42% more likely to evaluate their overall lives highly, 27% more likely to report “excellent” performance in their own job at work, and 27% more likely to report “excellent” performance by their organization. Engagement further leads to 45% higher levels of adaptability, 37% likelihood to report full recovery after illness or injury, 59% less chance of looking for a job elsewhere in the next year, and 19% likelihood to volunteer. Engagement aside, people also need to be happy in order to fire on all cylinders. Well-being is the second major ingredient needed to have a healthy workforce, and there’s even an index for it (pictured below). Well-being has three different stages: thriving, struggling and suffering. Evidently the last one is in no way a form of well-being, but it does represent the least amount of it, making it necessary to mention for gauging different levels in different individuals. What the duo found was that 28% of U.S. adults aged 18 and older are not thriving in any way. Just 19% are, either in four out of five, or all elements of well being. For every two adults who have it well for themselves, there are three who don’t. Perhaps not surprisingly then, more than 80% of the U.S. workforce reports not being engaged and / or very happy at work. If people are happy and engaged at work, productivity rises and everybody – from low level blue collars to the CEO – stands to win. An engaged employee is a passionate, creative, and entrepreneurial, employee who can fuel growth. An engaged employee is emotionally connected to the company’s mission. A non-engaged worker is indifferent toward his / her job, outright hate their work and their supervisor, despise the organization and has the potential to destroy a work unit. Leaders need to find the actionable engagement elements that are specific to their business and push those buttons until they ultimately convert into growth. 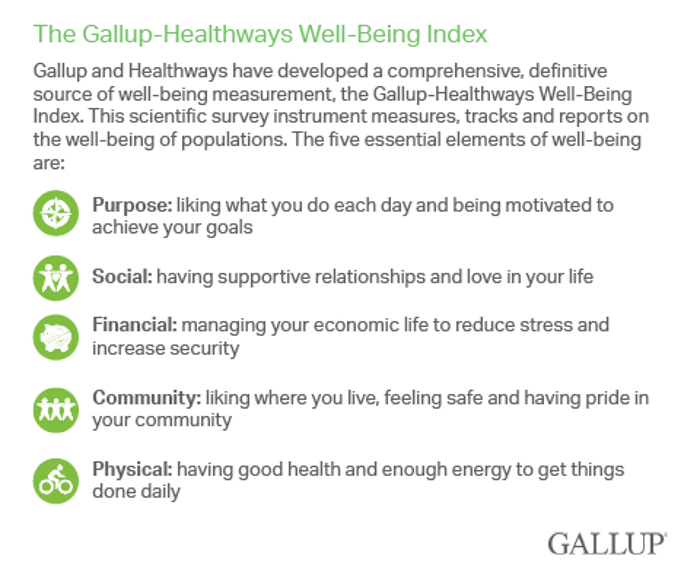 Gallup and Healthways advice leaders to further encourage participation in well-being activities when setting job expectations, as well as to recognize employees for their well-being achievements, explicitly link each each well-being activity to at least one of the five elements in the above chart, solicit employee ideas regarding well-being initiatives, and include goal-setting and milestones. 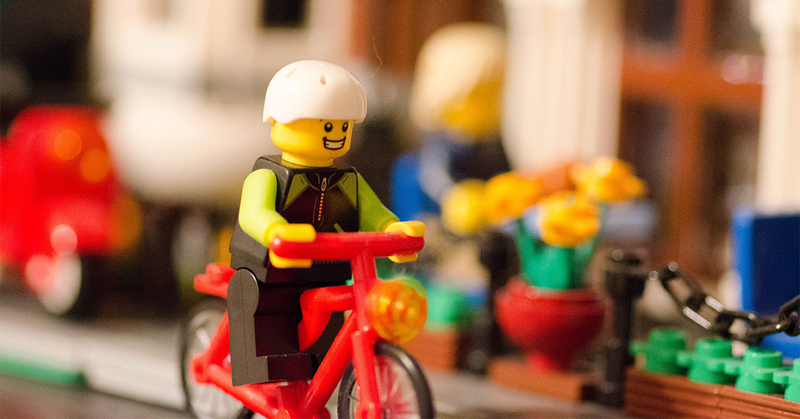 Because adding well-being to engagement programs is like killing two birds with one stone.